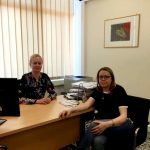 The Postgraduate Programme in «Creative Writing and Cultural Studies» (1st Specialisation: Writing, 2nd Specialisation: Teaching) aims at training scientists-researchers in the discipline of Humanities and Educational Science with a specialisation towards the teaching of Creative Writing and Cultural Studies. The graduates of the Programme, at the end of their studies, will acquired the relevant theoretical and empirical background, as well as the skills needed, in being employed into different professional and research fields related to education, as well as to the needs of a broader cultural market. In parallel to its research mission, the Programme intends to promote actions, draw up scientific studies and co-organise social and cultural events that promote and lead to the strengthening of relations between people through group collaboration and social interaction. It seeks to design an educational policy in order to highlight those cultural characteristics that will allow people from different cultural background and experiences to know each other and to cooperate with each other in matters relating to Education and Art, while, at the same time, cultivating feelings of self-esteem and self-respect. The Programme awards a Postgraduate Title of specialisation titled «Creative Writing and Cultural Studies» (1st Specialisation: Writing, 2nd Specialisation: Teaching). The course requires the attendance of three (3) semesters in order to award a Postgraduate Degree. The programme is taught in the English language. The Postgraduate Degree is awarded after the acquisition of 90 ECTS. The cost of the whole programme is 3,000 (€) euros. 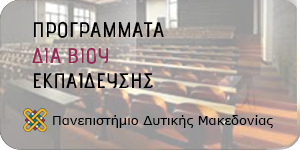 Distinguished Professors from Greece and abroad will teach to the postgraduate programme. The number of students admitted for participation in the Programme is set at a maximum of fifty (50) people per academic year and more specifically twenty-five (25) people per specialisation. Candidates can be Greeks or EU/International Students and are expected to have a Bachelor Degree, awarded by a recognized University. Candidates having acquired a Bachelor Degree, awarded by a Technical University are also welcomed. ID card or Passport No, a photocopy of your legal identification document. 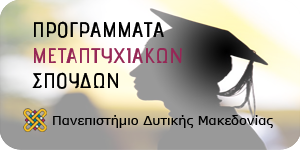 Grade of degree certificate (60%) (points from grade score awarded by a reduction in the Greek rating University system 1 to 10, with 5 as min and 10 as max).